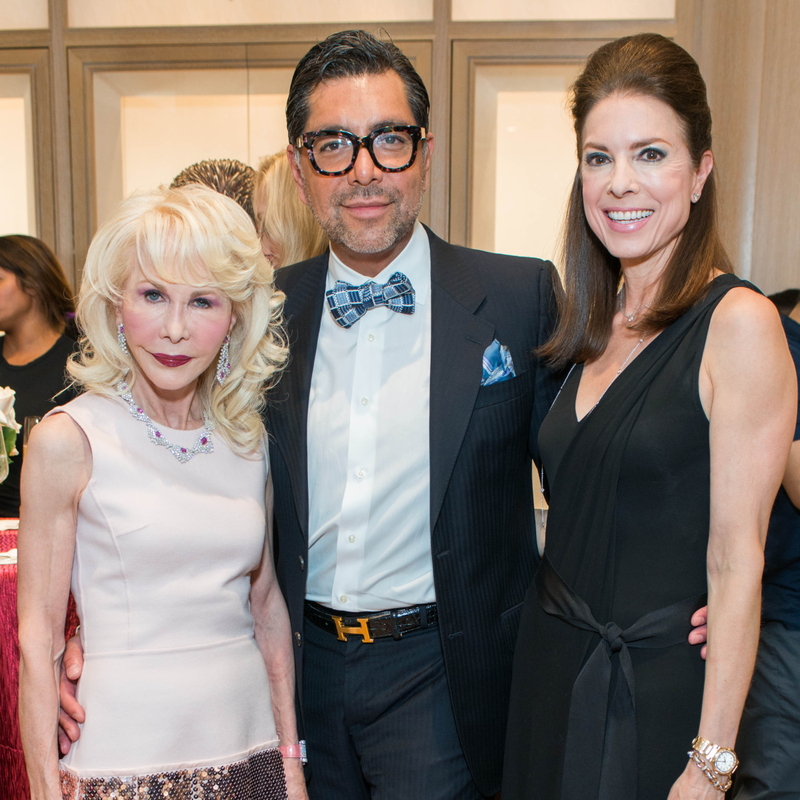 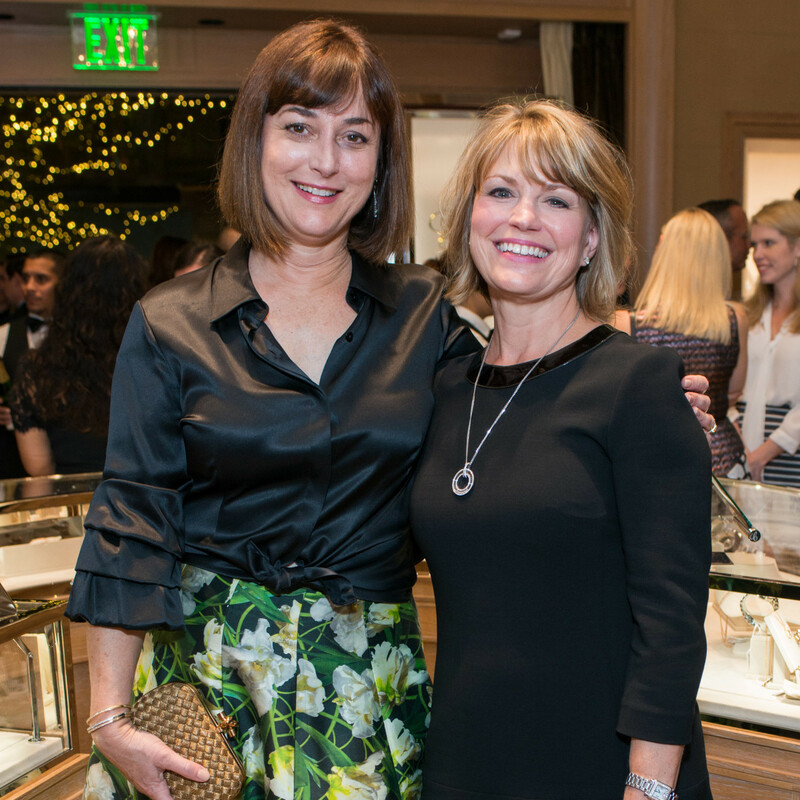 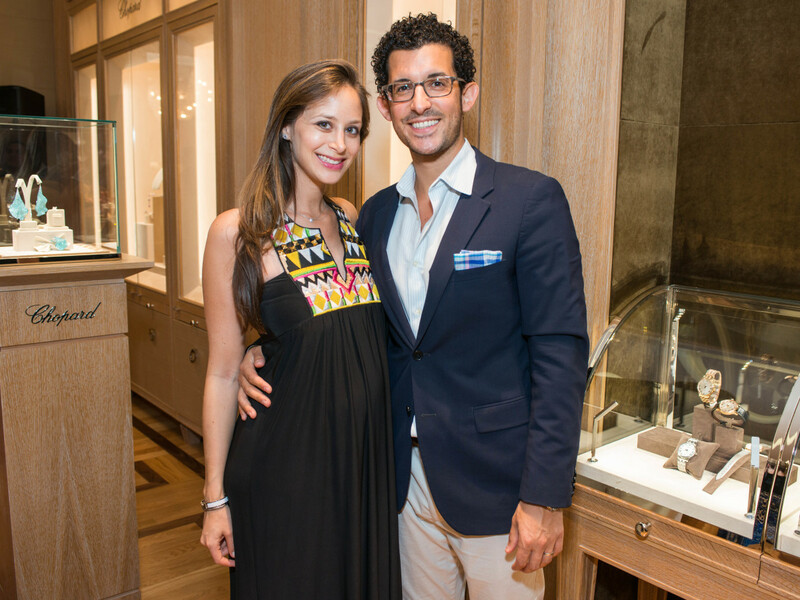 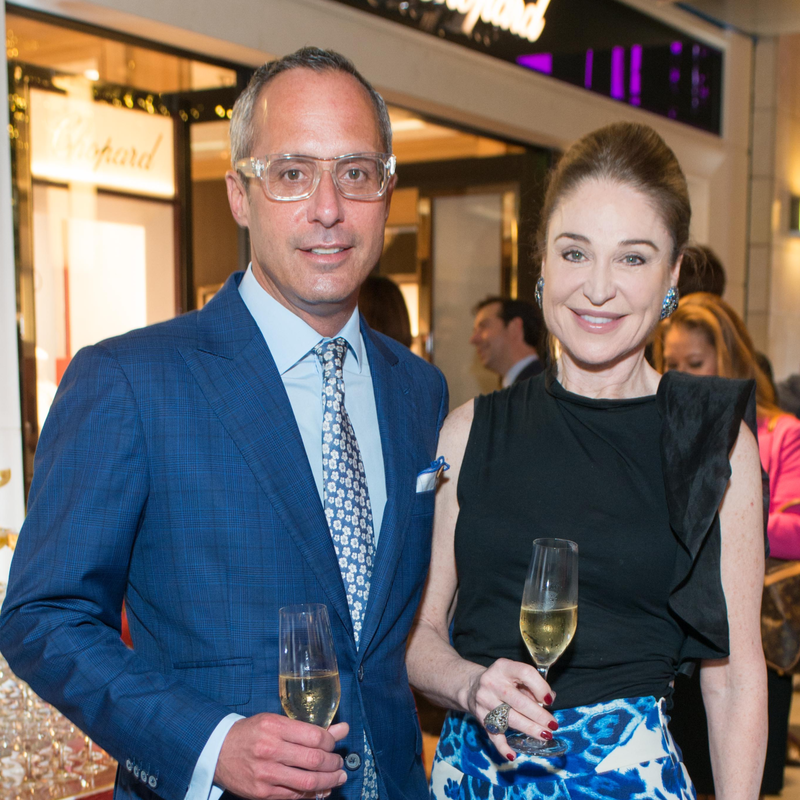 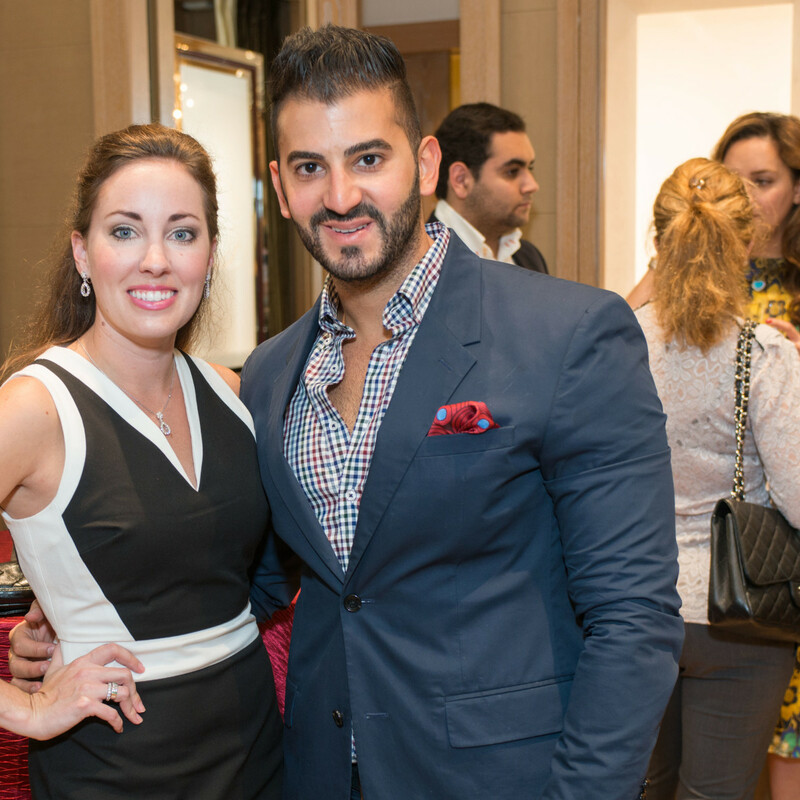 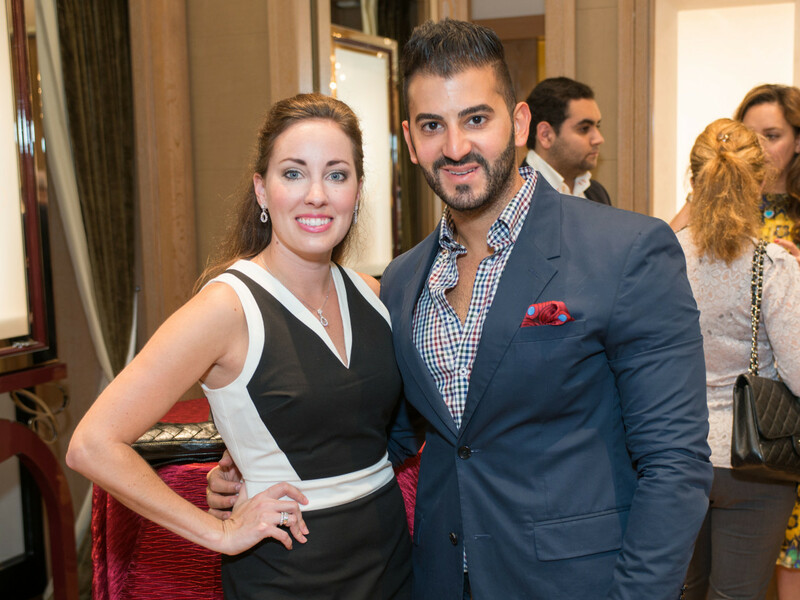 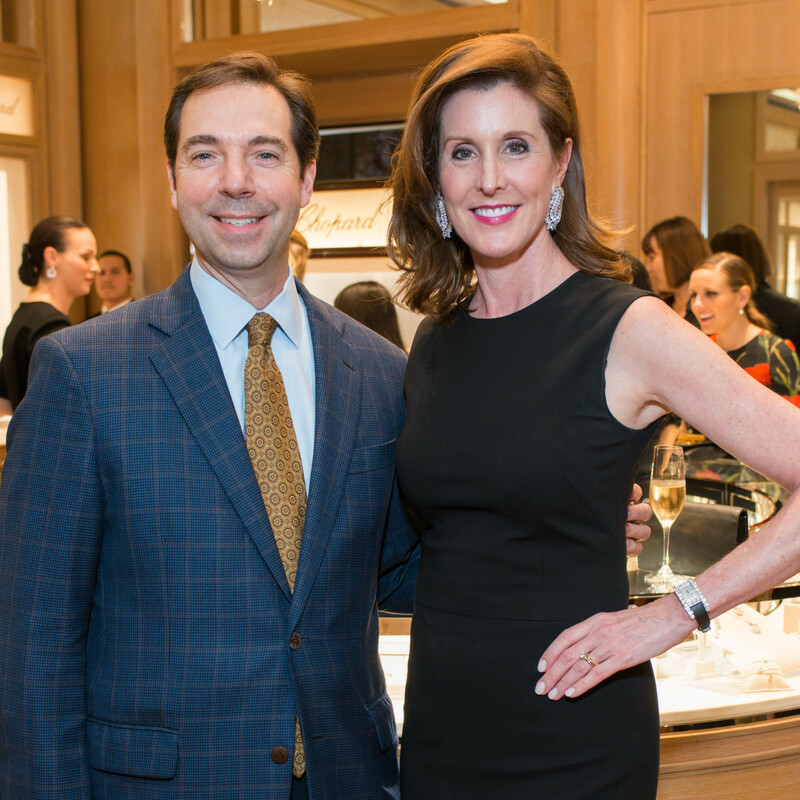 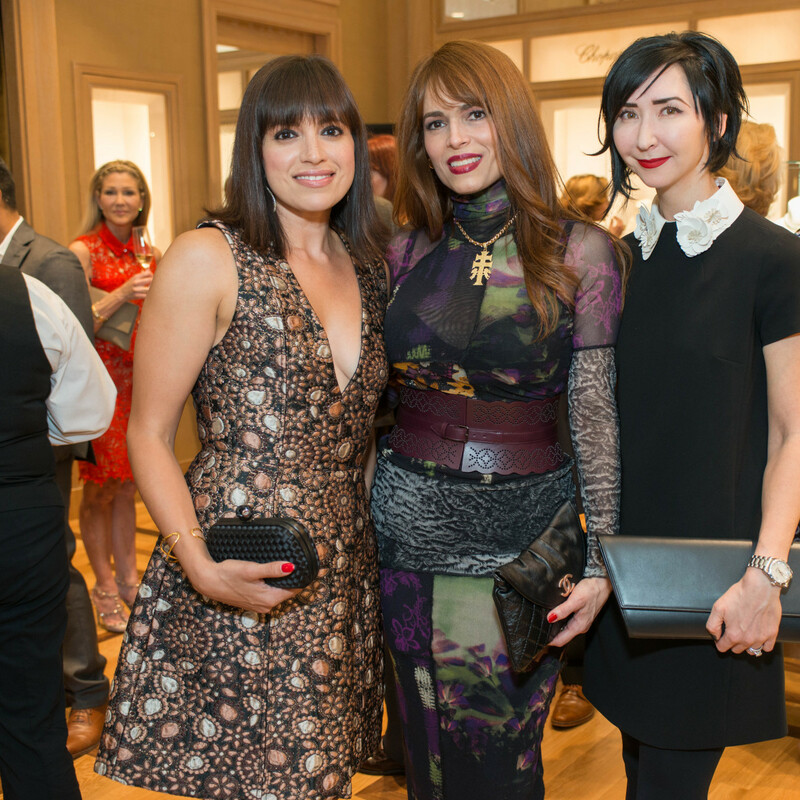 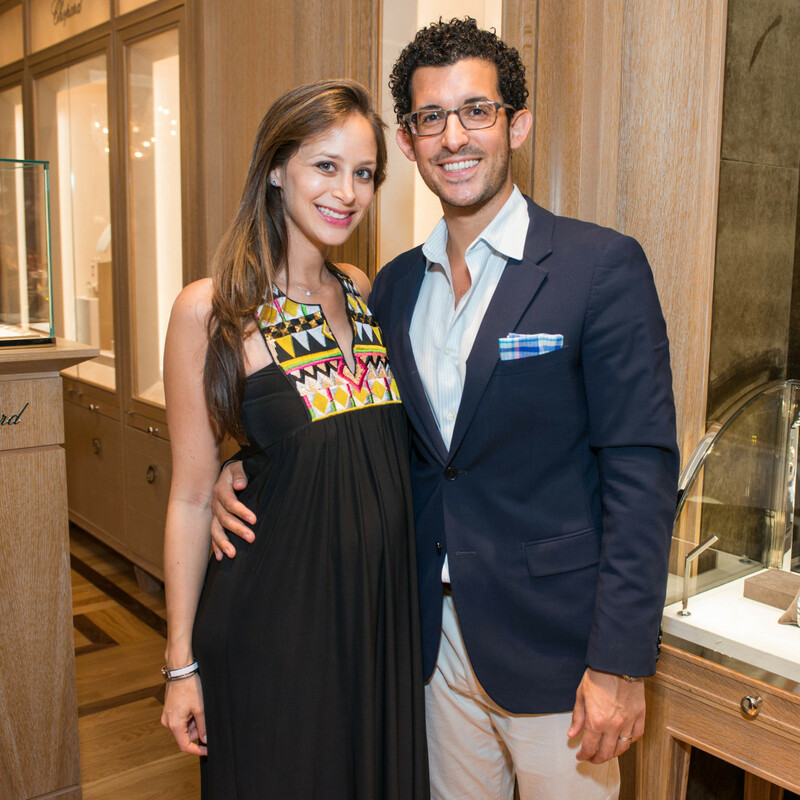 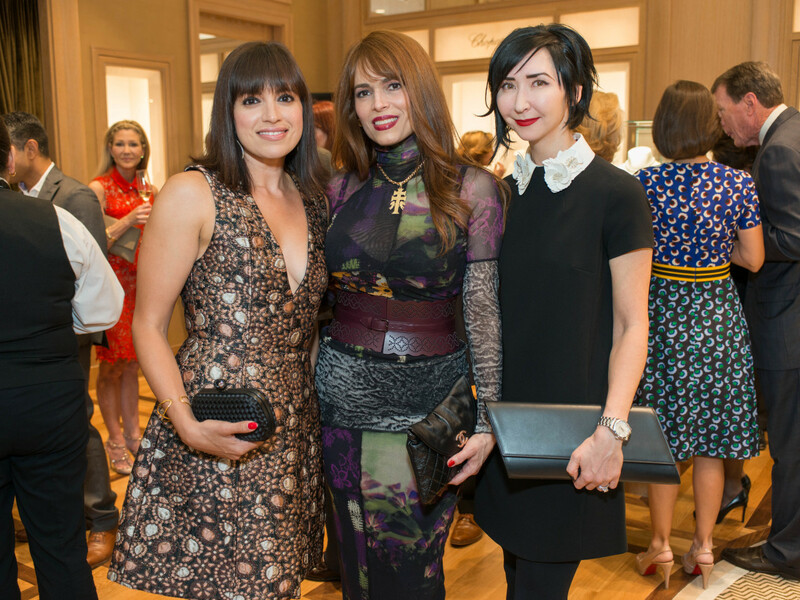 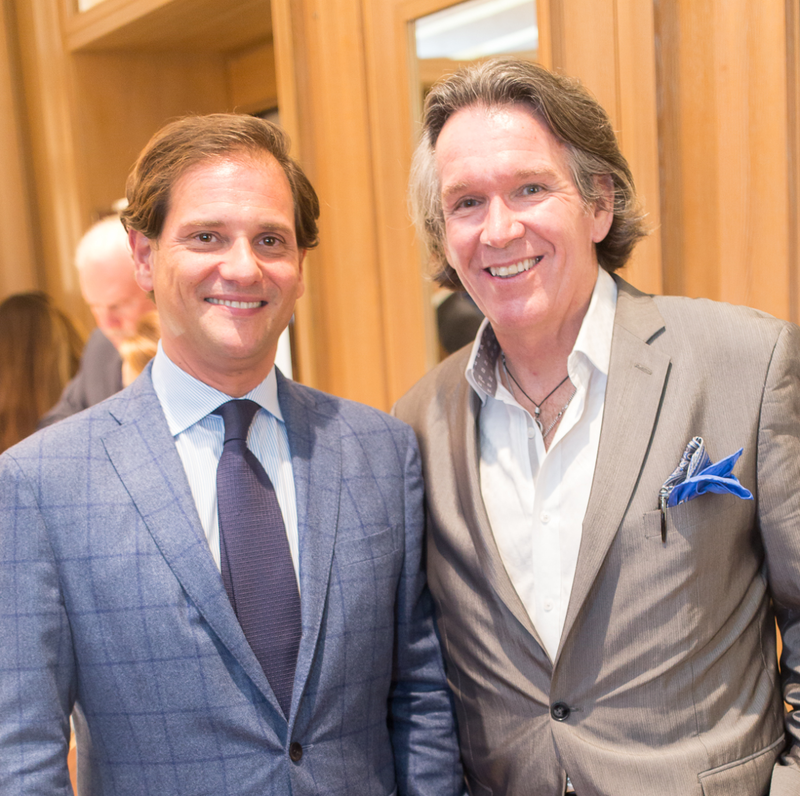 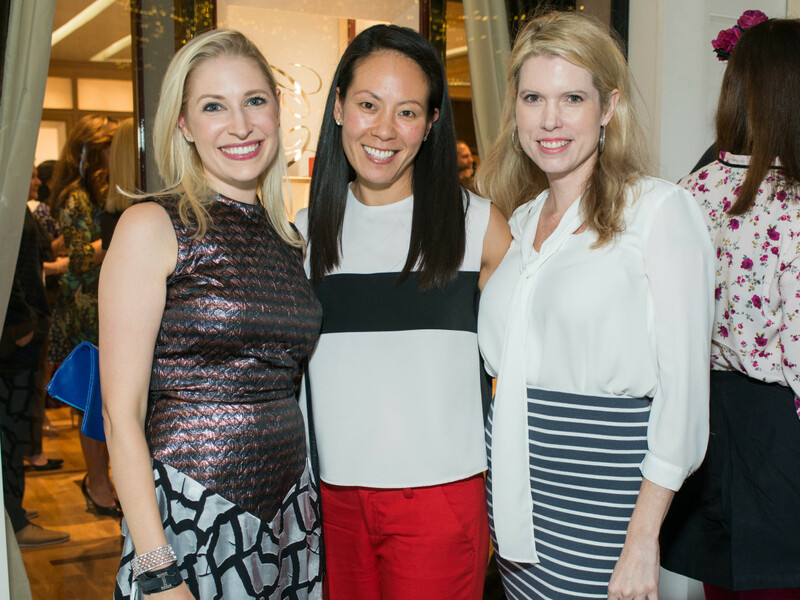 The always elegant, Houston Ballet Board chair Phoebe Tudor never looked more dazzling than she did for the opening celebration of the Chopard boutique in River Oaks District. 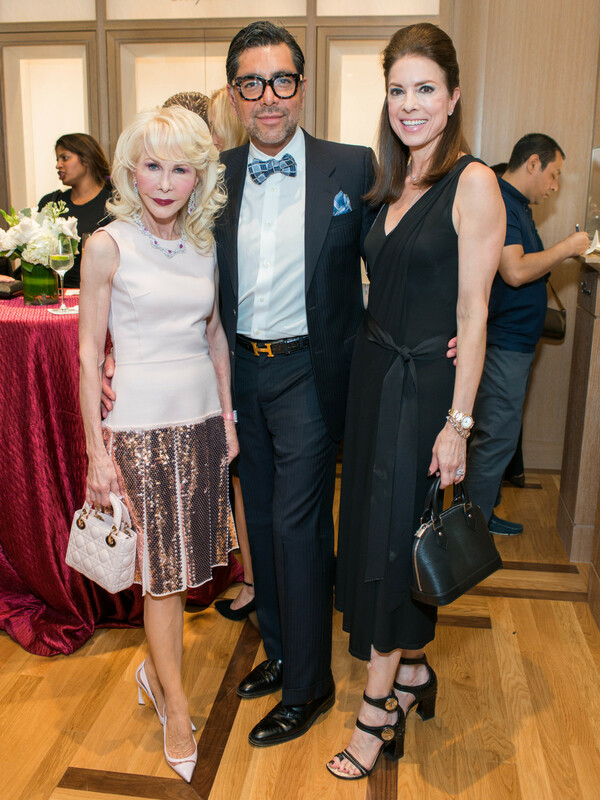 Wearing a simple but striking black cocktail dress, she accessorized with Chopard diamond earrings and diamond-framed watch. 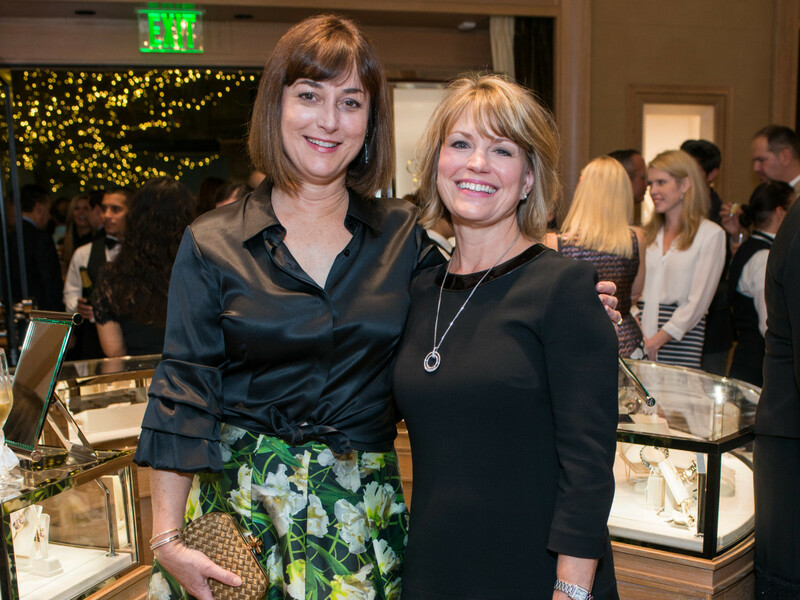 The dynamite earrings, Phoebe allowed, were worn by Veep star Julia Louis-Dreyfus for the 2015 Emmys at which she won Outstanding Lead Actress in a Comedy Series. 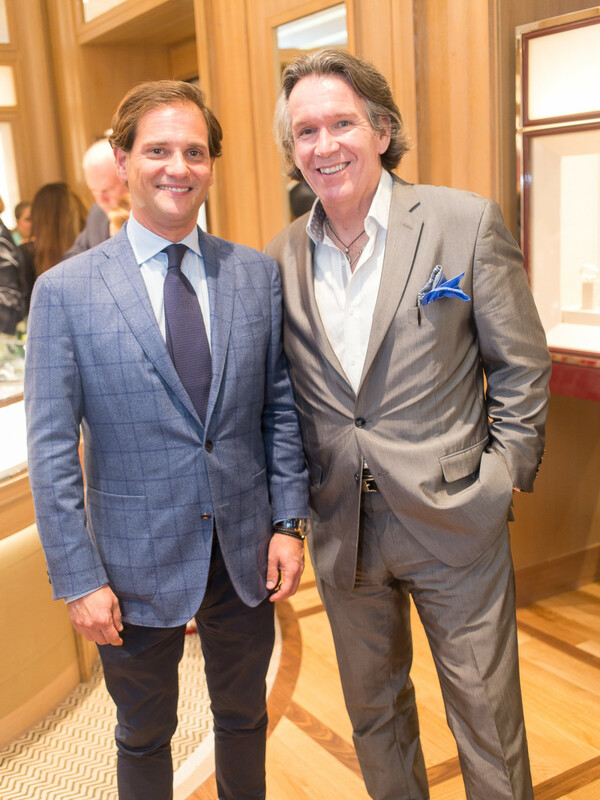 Addressing the trés chic gathering, Chopard U.S. president Ralph Simons said that the company's diamonds seem to be lucky charms for numerous Oscar and Emmy nominees, who now ask to wear Chopard for awards ceremonies. 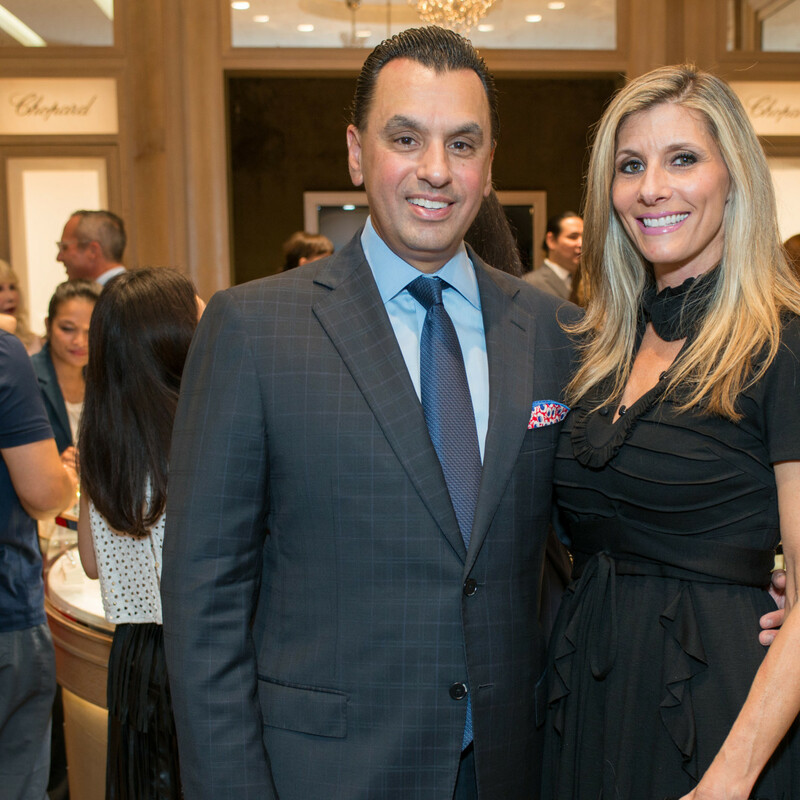 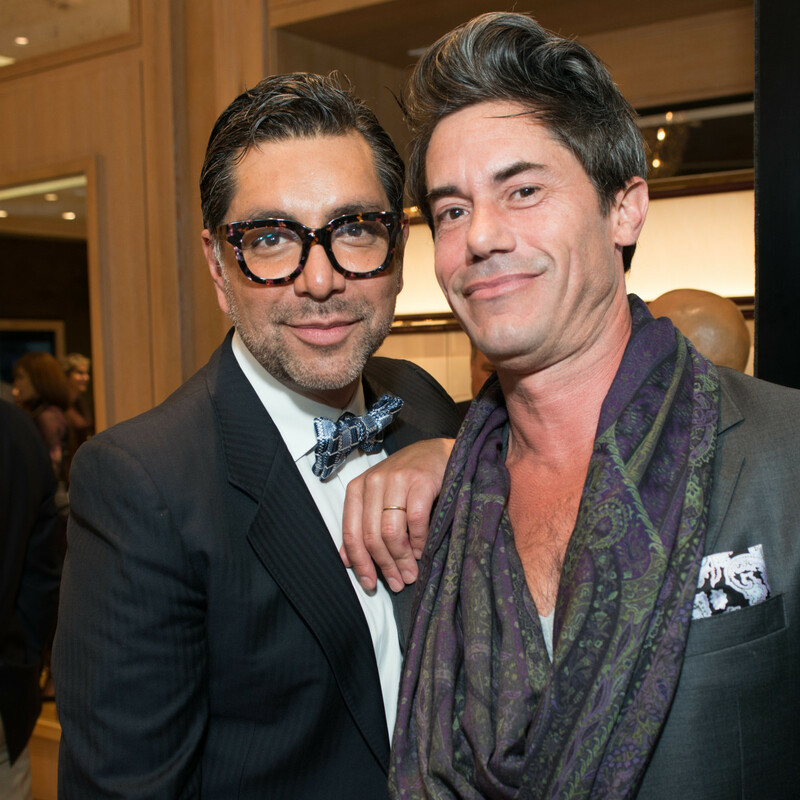 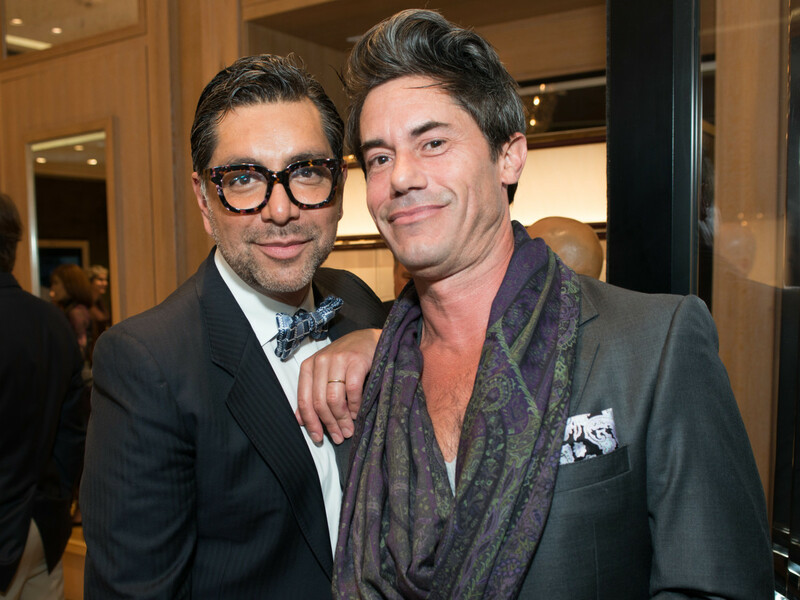 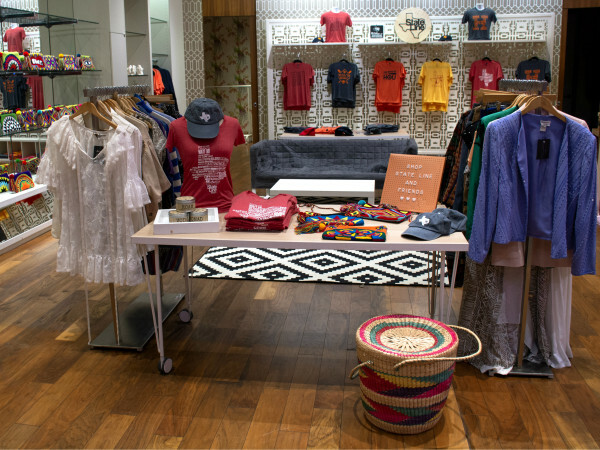 Simon also announced that 10 percent of sales through the end of the year would go to Houston Ballet when purchasers mention the partnership. 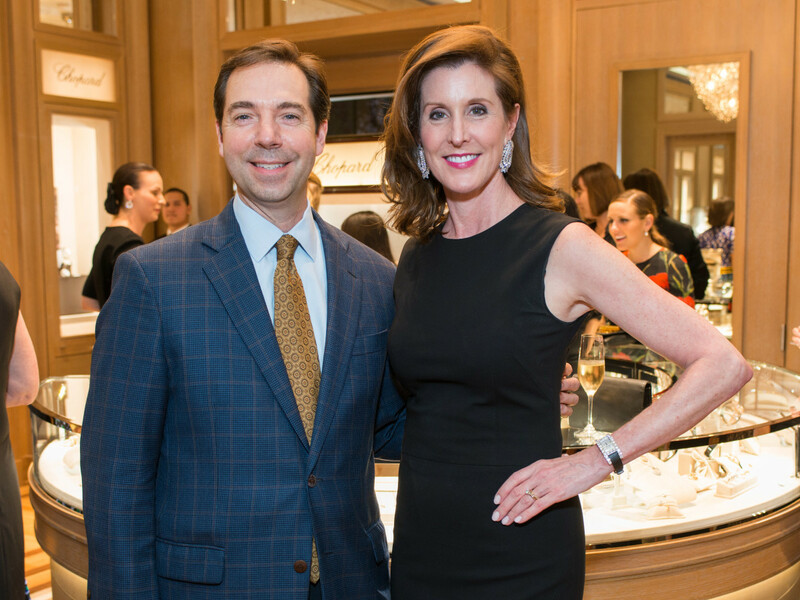 (We think that Bobby Tudor, Phoebe's husband, might be on the hook for either the earrings or watch, both priced easily into the six figure range.) 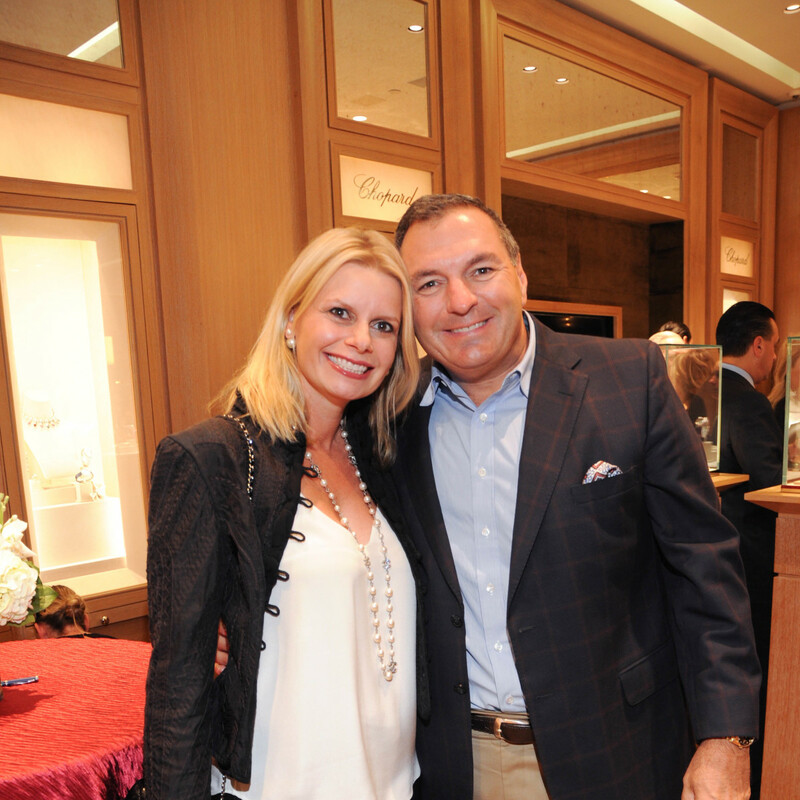 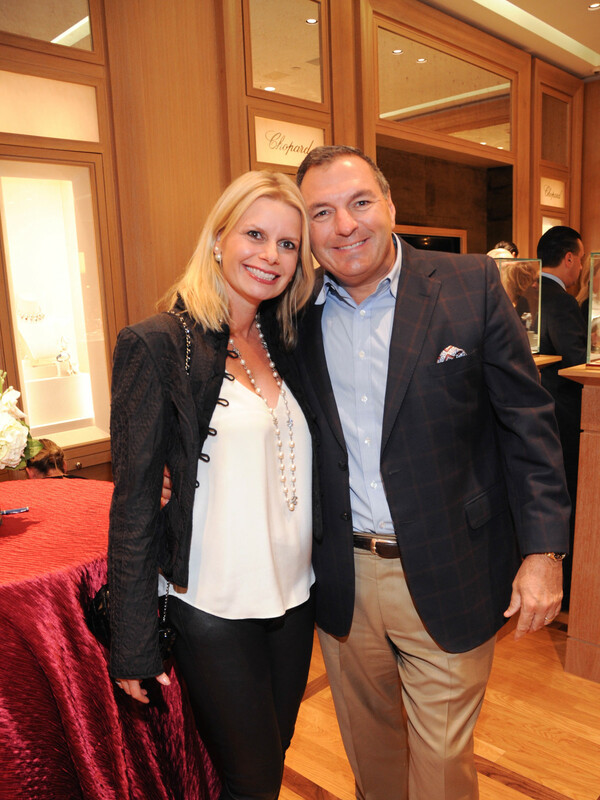 We know for certain that Rini and Edward Ziegler were doing a bit of holiday shopping in the watch department. 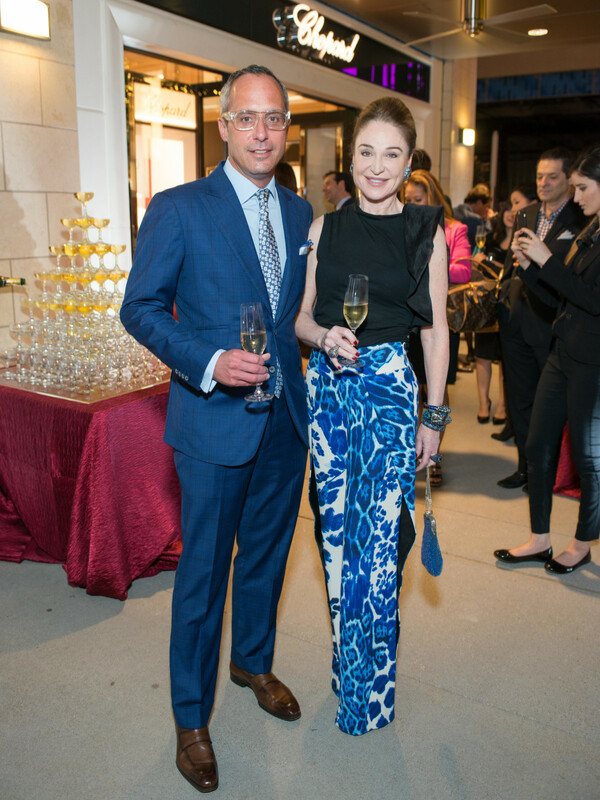 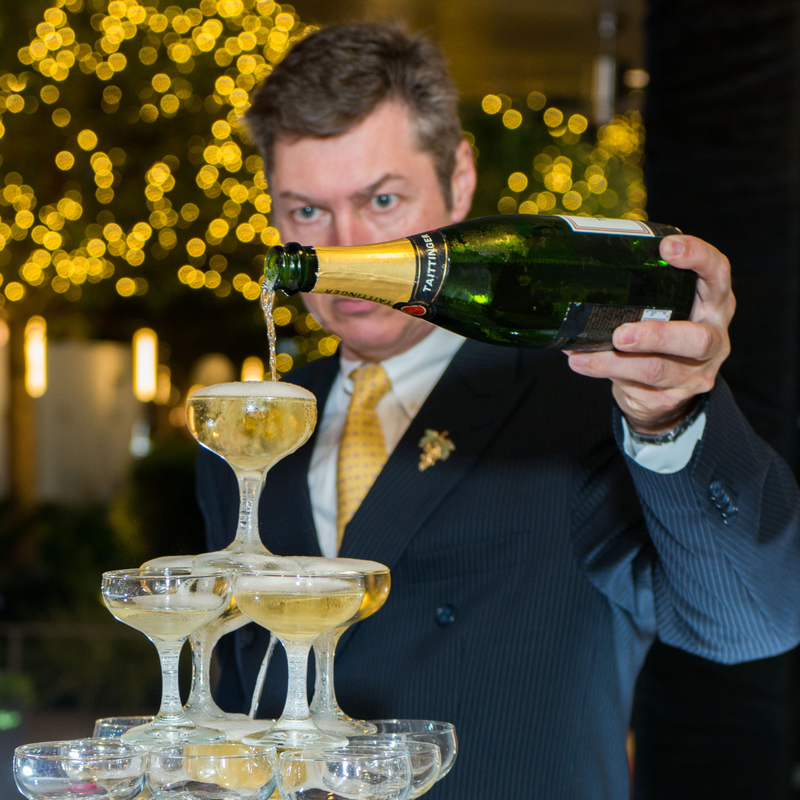 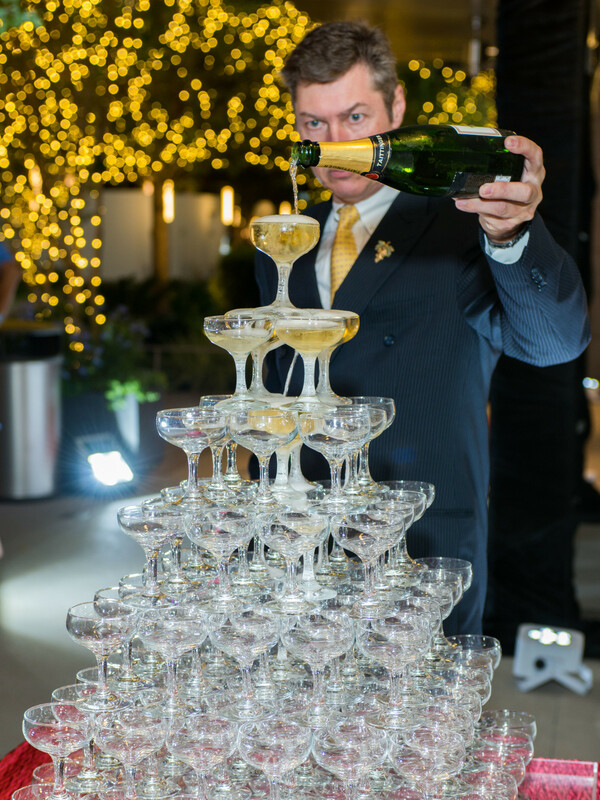 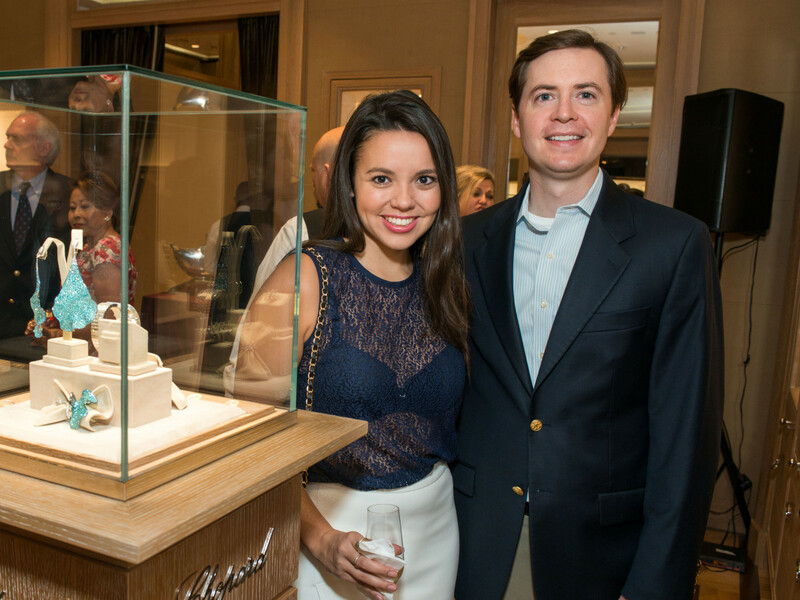 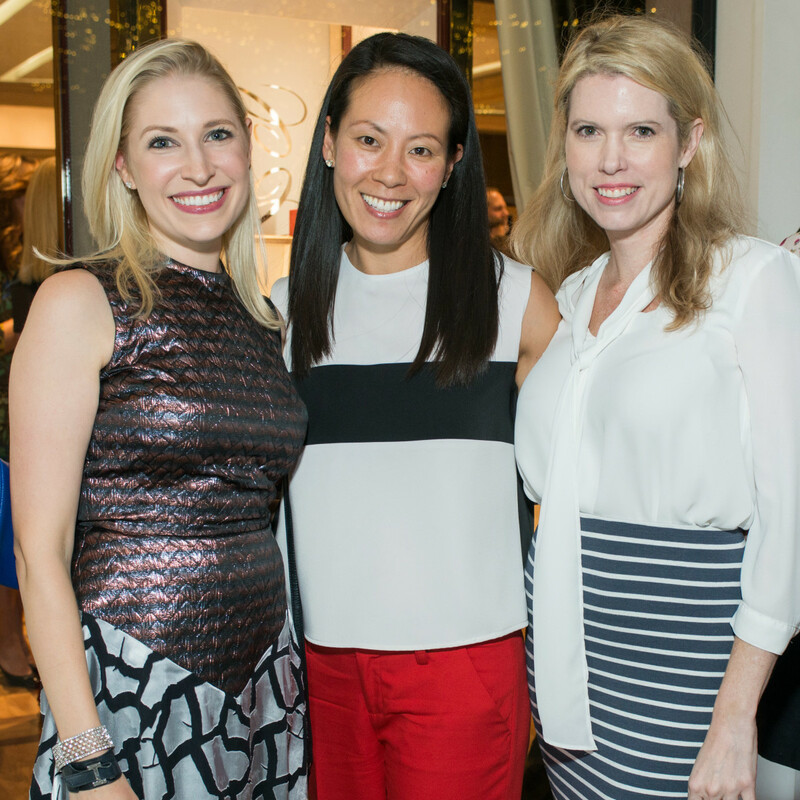 The elegant evening, highlighted by the Taittinger champagne tower, was hosted by Houston magazine, represented by publisher Peter Remington, editor Jeff Gremillion and national advertising director Isabel David. 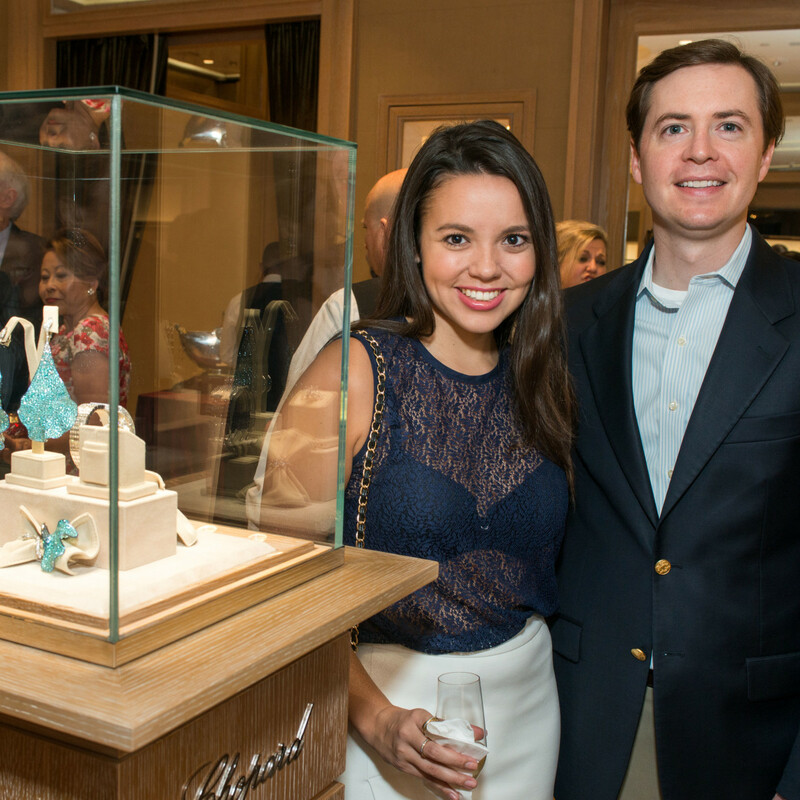 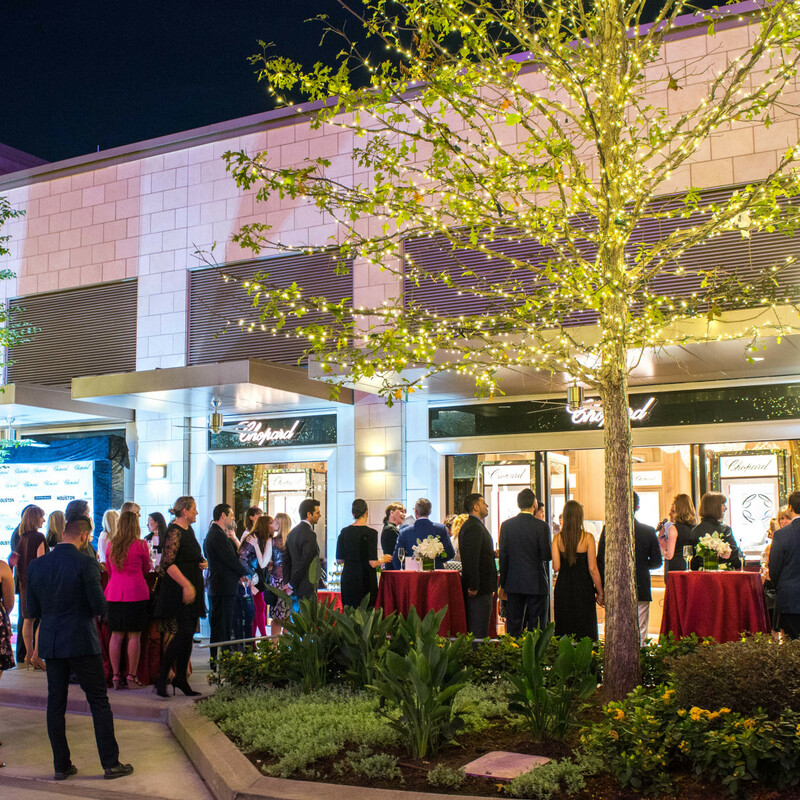 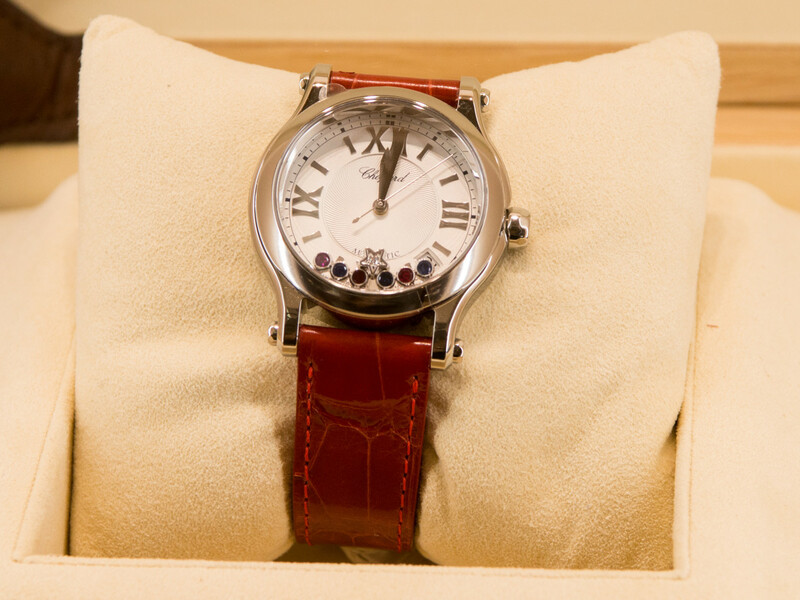 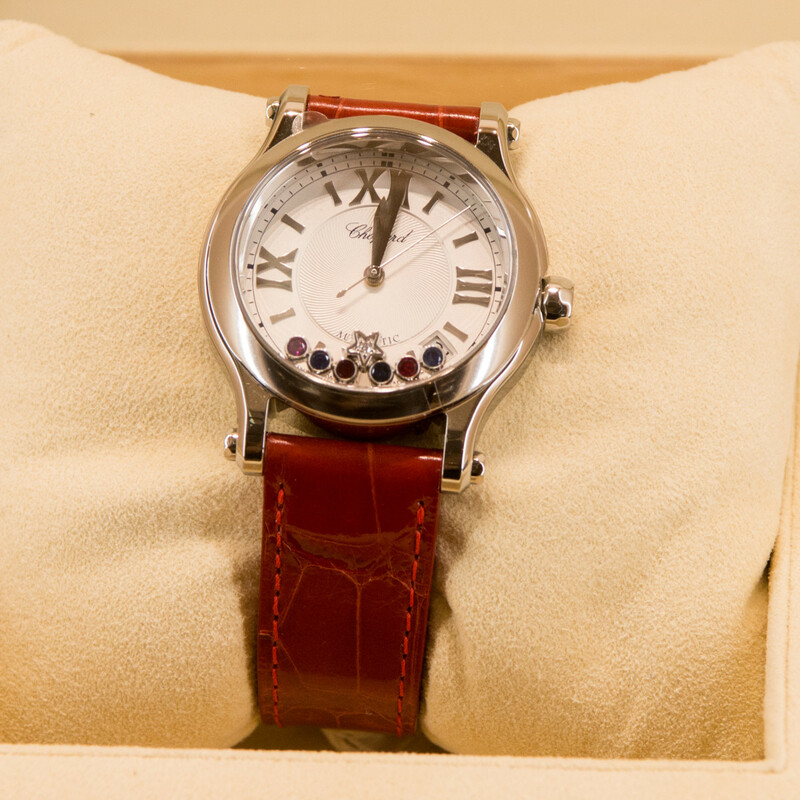 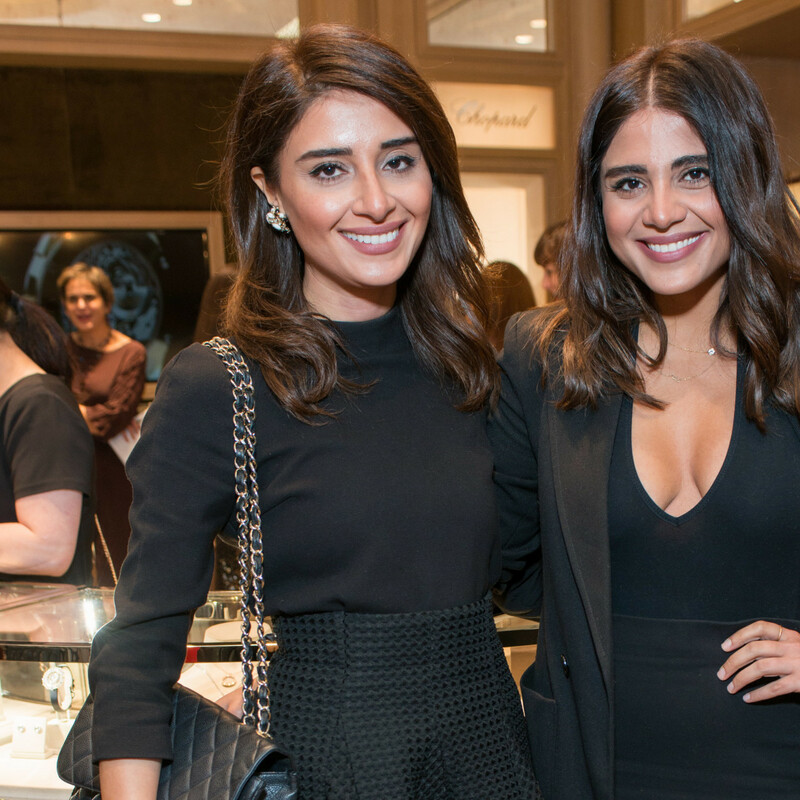 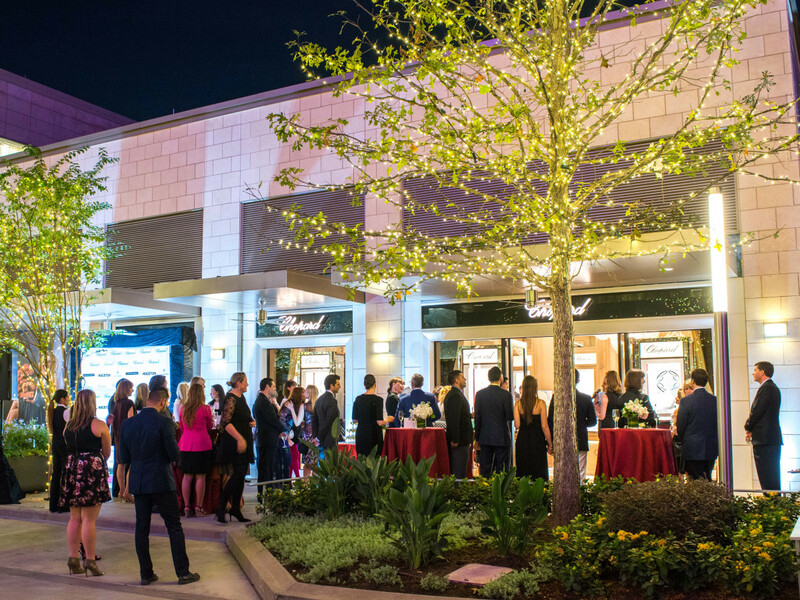 For this opening of Chopard's first store in Texas and only the fifth in the U.S., the 155-year-old Swiss firm created a limited edition Happy Texas watch embellished with a small diamond star in the face. 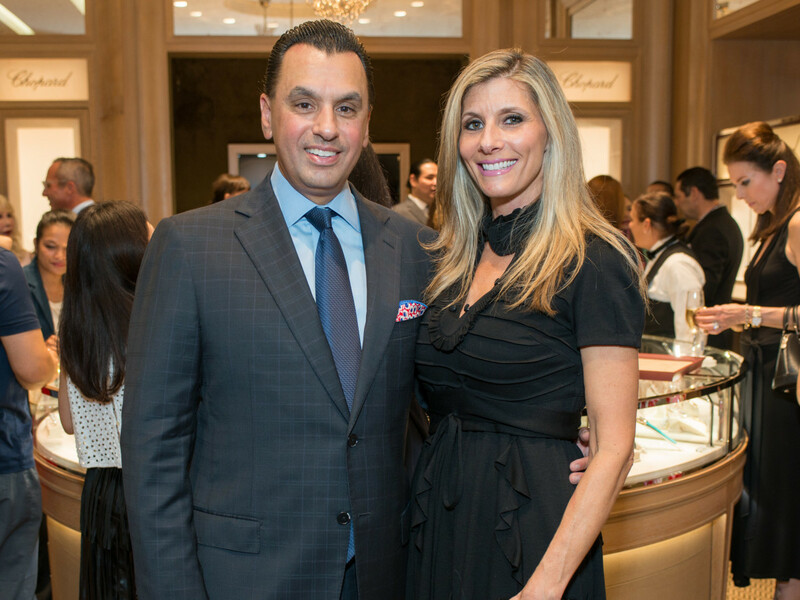 Swooning over the champagne and hors d'oeuvres from Tony's catering were guests including Diane Lokey Farb, Leigh Smith, Ceron, Patti and Don Murphy, Karina and Carlos Barbieri, Ting Bresnehan, Valerie and Tracy Dieterich, Karen Payne, Milton Townsend, Saba Jawda, Sarah Jawda, Mark Sullivan and Courtney Toomey.